The murder trial of Eric Gonzalez, 23, of Orange Walk, accused of killing Daniel Soto, 16, also of Orange Walk, by stabbing him with a butcher knife, began at the Orange Walk Supreme Court on Thursday, October 31. Police said that on the evening of February 26, 2009, Eric Gonzalez and Daniel Soto were at a house with others on Mangal Street in the Louisiana area of Orange Walk when they became involved in an argument, which led to a scuffle. Police said that after the altercation, Gonzalez left, but returned shortly after, armed with a butcher knife, with which he attacked Soto, stabbing him in the upper thigh and upper leg. According to police, upon their arrival, they saw Daniel Soto lying on his back in a drain, bleeding profusely. Soto was rushed to the Orange Walk Hospital, where an immediate surgery was performed, but Soto succumbed to his injury about two hours later. 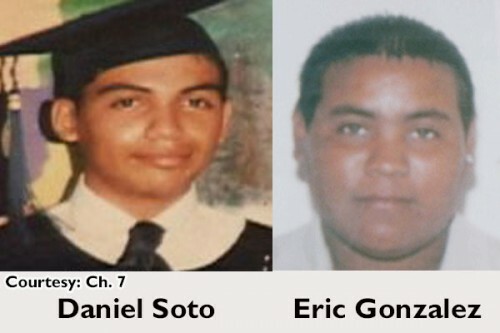 Eric Gonzalez escaped from the scene of the crime, and in that same month, police put him on the Police Most Wanted list for the death of Daniel Soto, and issued a wanted poster for his arrest on the charge of murder. Gonzalez was captured in Mexico and returned to Belize, where he was charged with murder. Eric Gonzalez appeared before Justice Herbert Lord and a jury comprised of four men and eight women at the Orange Walk Supreme Court. Senior Crown Counsels Sabita Maharaj and Linsbert Willis represented the prosecution, while the accused, Gonzalez, is represented by Senior Counsel Simeon Sampson.